Trường sẽ không phổ biến email của qúy vị. Xin bỏ dấu nếu tiện. Viet Ngu Hung Vuong offers approximately 25 classes held every Sunday morning between 9 am and 12 pm. 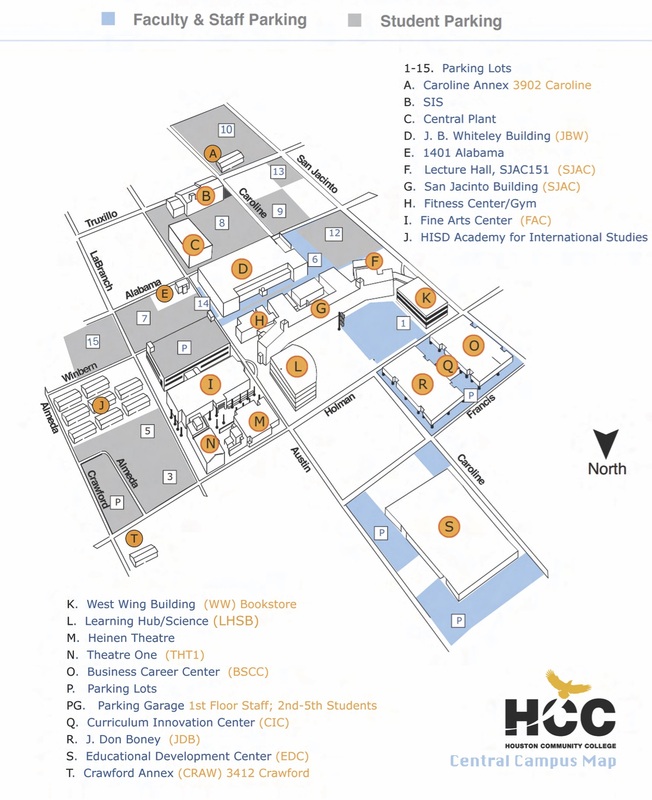 We are located at Houston Community College (HCC) Central Campus 1300 Holman St. Houston, TX 77004. We work hard to keep everything on schedule so please help us drop off and pick up your children on time. Also for your child safety please come pick up your child at 12:00PM. Parent can park on parking lot 12, 7 or in garage P on Alabama St. for your safety. All classrooms are located in SJAC Building (G). See the map below. Please stop by our office at Room 112 if you have any questions.